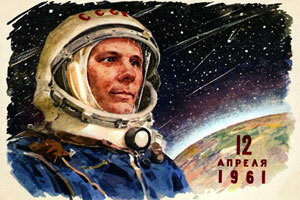 Samara is central to the space industry – Yuri Gagarin rested here following his return to the Earth. 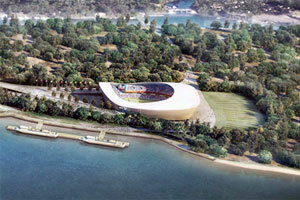 Today, Samara is Russia's sixth-largest city, and brilliantly positioned to benefit from new economic growth. 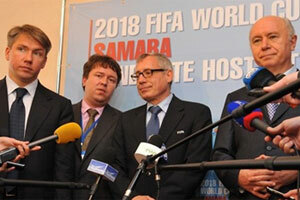 Ready to inspire: Samara will be one of the 11 host cities during the FIFA World Cup in Russia in 2018 for which a new stadium will accommodate 45,000 fans. 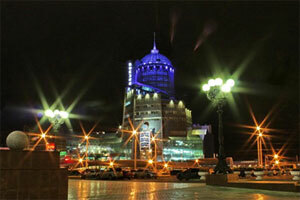 Samara, with the population of 1.17 million (2012), is the sixth largest city in Russia. It is the administrative center of Samara Region and an important business center of the Volga Federal District. It is situated in the south-eastern part of European Russia at the confluence of the Volga and Samara Rivers on the east bank of the Volga, 858 km from Moscow. The Volga acts as the city’s western boundary. The metropolitan area of Samara-Togliatti-Syzran within Samara Region constitutes the population of more than three million people. Formerly a closed city, Samara is now a large and important social, political, economic, industrial, and cultural center of European Russia, which in May 2007 hosted the European Union—Russia Summit. The life of Samara’s citizens has always been intrinsically linked to the Volga River, which has not only served as the main commercial thoroughfare of Russia throughout several centuries, but also has great visual appeal. Samara’s river-front is one of the favorite recreation places for local citizens and tourists. Togliatti is the second largest city in the Samara Region. Its current population is about 720 thousand people. 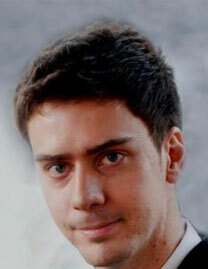 About 60% of the total economic output of the Samara Region is produced in the city. 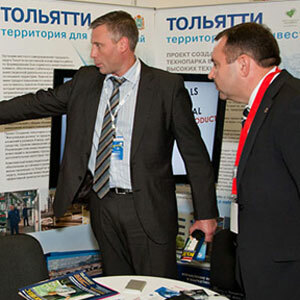 Togliatti Industrial-type Special Economic Zone: total investment over 50 billion Rub; free customs zone regime; property, land, transport tax – 0%, profit tax – 2% VS 20%; government guaranties against unfavorable changes in the legislation; due in 2014. Zhiguli Hi-Tech Industrial Park (‘Zhigulevskaya Dolina’): 4 billion Rub total investment; a centre for modernization and development of innovative technologies in the Samara region (strategic information, space and transport, energy efficiency technologies, innovative materials and chemical products; due in 2014. 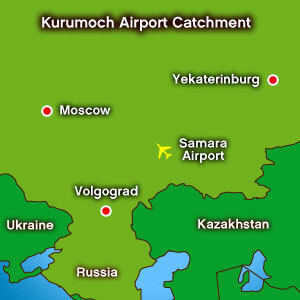 Kurumoch Airport (KUF) serves the population of Samara City (about 1.17 million people) and Samara Region (about 3.21 million people).It is the largest and the most advanced airport of the Volga Region. 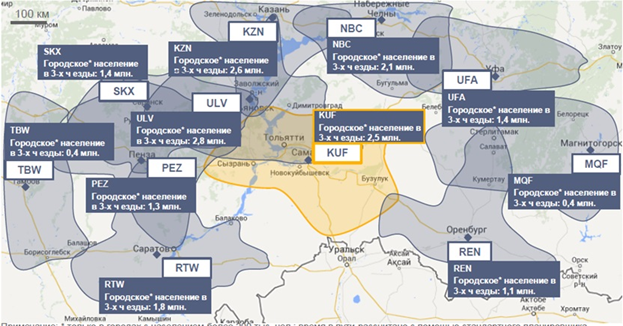 In 2012, Kurumoch Airport ranked 11 in terms of passenger traffic and 15 in terms of international cargo shipments among Russian airports. The airport meets ISO 9001:2008 requirements within all areas of operation. 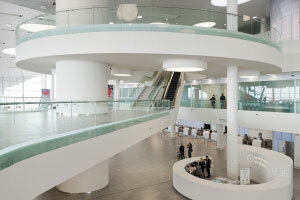 The current passenger terminal complex consists of three buildings (main Intl and Dom departure terminal; Intl arrivals terminal; Dom arrivals terminal). Current capacity is 750 passengers per hour. 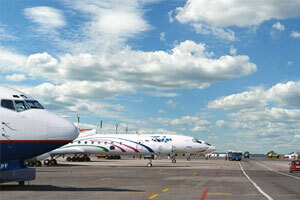 flydubai launches twice-weekly services to Dubai – a perfect city break destination for Samara's affluent middle class. 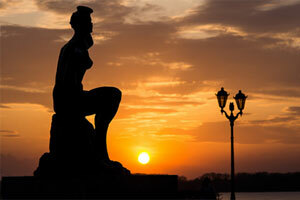 Direct services to major European destinations, including Berlin, London and Zürich, are also sought after. 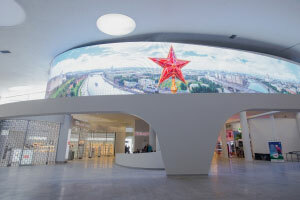 Samara Region attracts foreign investment to its special economic zones like the one in the car-making city of Togliatti, only one hour away from the airport. An increasingly mobile population of three million desires direct air services to destinations like Frankfurt and Barcelona. 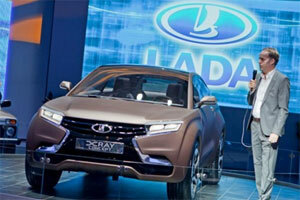 The Lada XRAY stunns the Moscow Motor Show in August 2012: 5,000 companies and over 100 countries make up Samara's trading network which is a centre for automobile manufacturing. 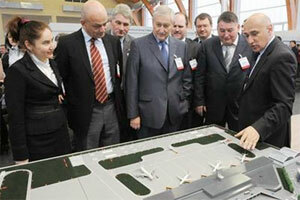 Kurumoch Airport is the largest and the most advanced airport of the Volga Region. In 2014, it ranked #8 in terms of passenger traffic and #14 in terms of international cargo shipments among Russian airports. Samara is a leading industrial centre in the Volga region and is among top 10 Russian cities in terms of national income and industrial production volume. 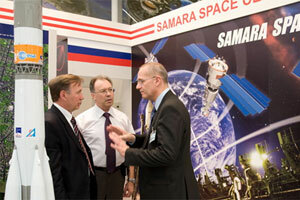 Samara is known for the production of aerospace launch vehicles, satellites and various space services, engines and cables, aircraft and rolled aluminium, block-module power stations; refining, chemical and cryogenic products; gas-pumping units; airfield equipment; cars, truck-mounted cranes, etc. Ultimate makeover: A 60,000 sq m passenger terminal, 4,000 sq m cargo facility, multi-level car park, and a 4-star hotel will be commissioned by 2017. 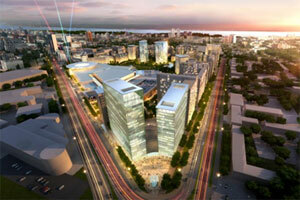 A rail link to downtown Samara is also planned. 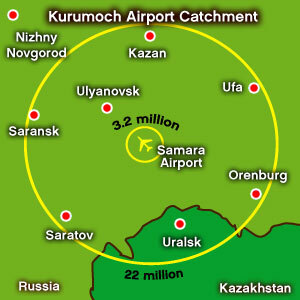 Kurumoch International Airport is located 35 kilometers north of Samara (population – 1.2 million) and 45 kilometers east of Togliatti. Samara is situated in the south-eastern part of European Russia at the confluence of the Volga and Samara rivers on the east bank of the Volga. Samara’s river-front is one of the favorite recreation places for local citizens and tourists. Samara is a major transportation hub: There are rail links to Moscow and other major Russian cities. Samara is a major river port. Samara is located on the M5 Highway, a major road between Moscow and the Ural region. The airport and the city of Samara are connected by two roads. 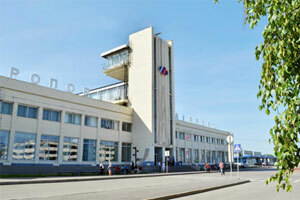 Construction of a railway station is planned to connect the central railway station and Kurumoch Airport; a trip by train will take 60 minutes. Terminals: Kurumoch Airport’s terminal complex consists of three buildings (main international and domestic departures terminal; international arrivals terminal; domestic arrivals terminal). Current capacity is 750 passengers per hour: 600 passengers per hour on domestic flights and 150 passengers per hour on international flights. 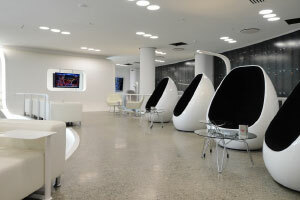 The business terminal has the capacity to handle 50 passengers per hour. Both international and domestic freight and mail is handled at the dedicated cargo facility equipped with all necessary technical means. The development project incorporates construction of a new air terminal and overhaul of utilities of Samara Kurumoch International Airport. The runways are equipped with up-to-date ILS ICAO Category I. The airport handles various types of passenger and freight aircraft (except A380). 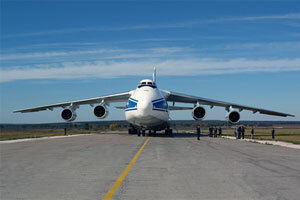 The capacity of the air cargo complex is up to 200 tonnes per day. New passenger terminal with the area of over 35,000 sq m and capacity of 3.5 million passengers per year was opened in December, 2014.